The Flat Earth Movement: A (Global) Phenomenon! In case you haven't heard, our planet is as flat as a pancake. Sound crazy? Perhaps. But around the globe (disc?) a flat Earth movement is steadily on the rise. More and more people, educated and not, from all walks of life, are posting videos, attending conferences, and publishing books embracing this seemingly radical notion. NBA all-stars like Kyrie Irving and Shaquille O'Neal have publicly supported the idea. Rapper B.o.B is funding a satellite launch to prove it. And if that's not enough to convince you, know that social media and television star Tia Tequila is also a believer! Is this just some strange new celebrity fad like Scientology, or is it a larger symptom of the post-truth, alternative facts era we're living in? This hour we look inside the flat Earth movement with believers and non-believers alike to find out. Colin McEnroe, Jonathan McNicol and Chion Wolf contributed to this show. The scientist who stunned the world by claiming he created the first genetically modified babies defended his actions publicly for the first time on Wednesday, saying that editing the genes of the twin girls while they were embryos would protect them from contracting HIV. 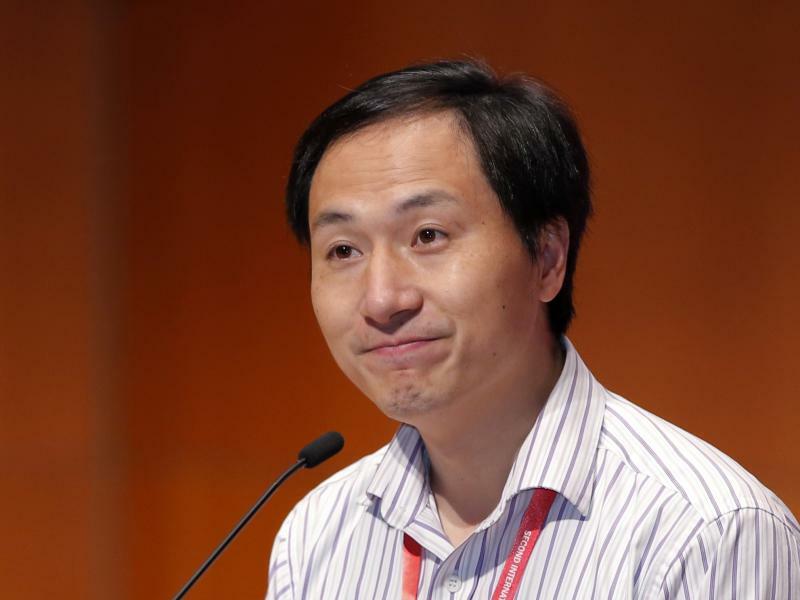 He Jiankui of the Southern University of Science and Technology in Shenzhen, China, addressed hundreds of scientists gathered at an international gene- editing summit in Hong Kong that has been rocked by ethical questions swirling around his research. The Argus Pheasant is a lifelong bachelor. He mates with multiple females but has no further contact with his mates or the baby pheasants he sires. By human terms, not much of a feminist. Thirty million red blood cells circulate twelve thousand miles in a never ceasing loop through our bodies every day. Our blood has to keep moving in order to perfuse every organ and vessel necessary to keep us alive. Nothing in our body works without the constant presence and movement of our blood. Yet, few of us think about our blood until we see a few drops trickle from a cut. Then, we're horrified by it. On the grounds of Wethersfield's Webb-Deane-Stevens Museum, archaeologists have discovered evidence of the oldest English colony in Connecticut.